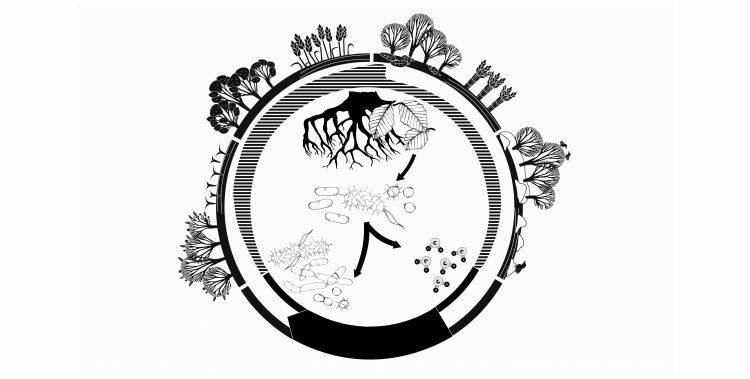 The SeaCUE project investigates the microbial contribution to soil carbon sequestration. At the Department of Microbiology and Ecosystem Science at the University of Vienna I am looking into the seasonality of microbial carbon use efficiency and if carbon inputs at times of high efficiency lead to more stabilization of carbon in soils. Global temperatures are rising and CO2 concentrations in the atmosphere are increasing. This calls for efficient counteractive strategies. One strategy is to transfer carbon into soil where it can be stabilized. Soil microbes could play a major role in carbon transfer and stabilization processes. Most carbon in soils is dead microbes sticking to clay minerals. A first step to introduce carbon into soils and stabilize it there is therefore the efficient uptake by soil microbes. Microbes can respire carbon to produce energy or they can use carbon to grow. Efficient soil microbes will grow and keep carbon in the soil while they lose little carbon as CO2 to the atmosphere. How efficient soil microbes are, changes over the course of a year, depending on temperature, plant growth, litterfall or crop harvest. This might create time slots where microbes in the soil are particularly efficient. At these times, a higher proportion of carbon inputs to the soil, such as mulch or compost, might become stabilized on clay minerals in the soil. The goal of the FWF funded, international research project is to provide a basis to adapt timing of agricultural management to counteract climate change eventually. When is the best time to fertilize? When to apply compost or harvest residues to increase soil carbon? Besides counteracting climate change, more carbon in soils also increases soil health and the ability of soils to hold water, which reduces soil’s vulnerability to drought. Andreas Richter, University of Vienna (18O CUE method); Bruce Hungate, Northern Arizona University, USA (q-SIP analysis); Stuart Grandy and Emily Kyker-Snowman, University of New Hampshire, USA (microbial modelling); Sophie Zechmeister-Boltenstern, University of Natural Resources and Life Science, Vienna (forest site and litter removal experiment); Heide Spiegel and Taru Sandén, Austrian Agency for Health and Food Safety (field site and crop residual removal experiment).